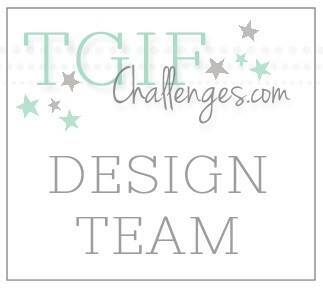 Welcome to another week of the Artisan Design Team Blog Hop! Next week we won't be hopping because it falls on Christmas. Don't worry! 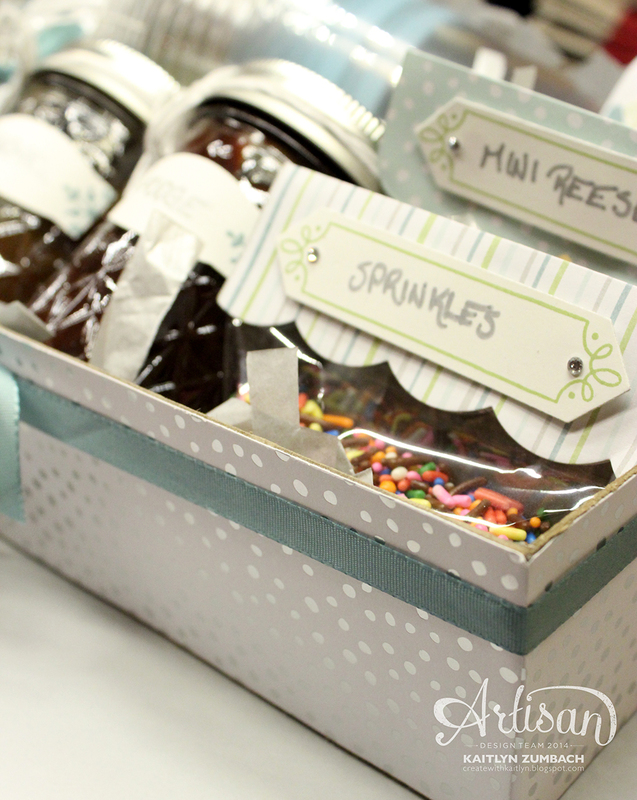 We will be back the week after with some amazing projects using new product from the Occasions Catalog. 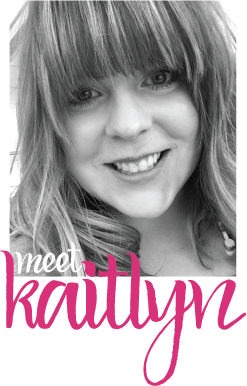 Today we are sharing our project that will be featured on the Stampin' Up! Facebook page, and I have a great gift idea you could give friends or neighbors. It's an ice cream sundae in a box! The only thing that needs to be added is ice cream! 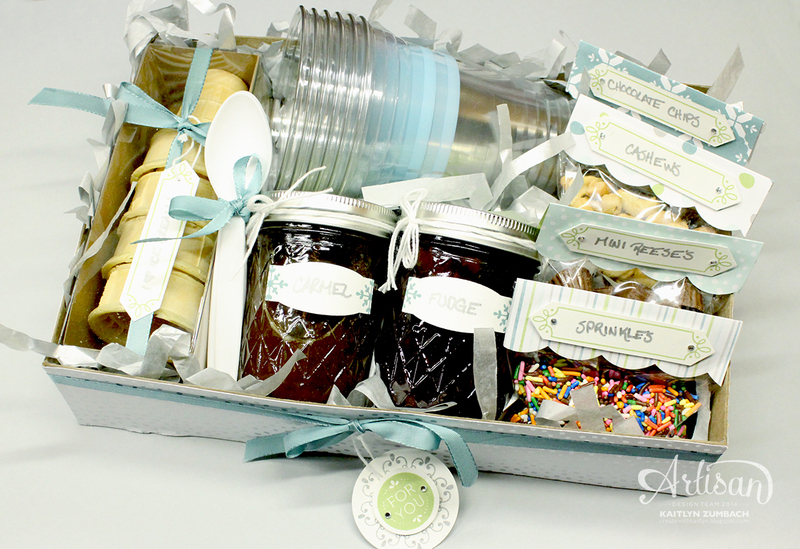 I included toppings, cones, plastic bowls, and even spoons. I started by making my box out of the chipboard-like material in the back of things like our Foil Sheets. This is a great way to use up something that is too good to toss! The finished size of the box is 8-1/2"x11" and is 2" deep. I then covered the box with some All is Calm Specialty Designer Series Paper. The touch of Lost Lagoon Ribbon makes for a really pretty presentation. 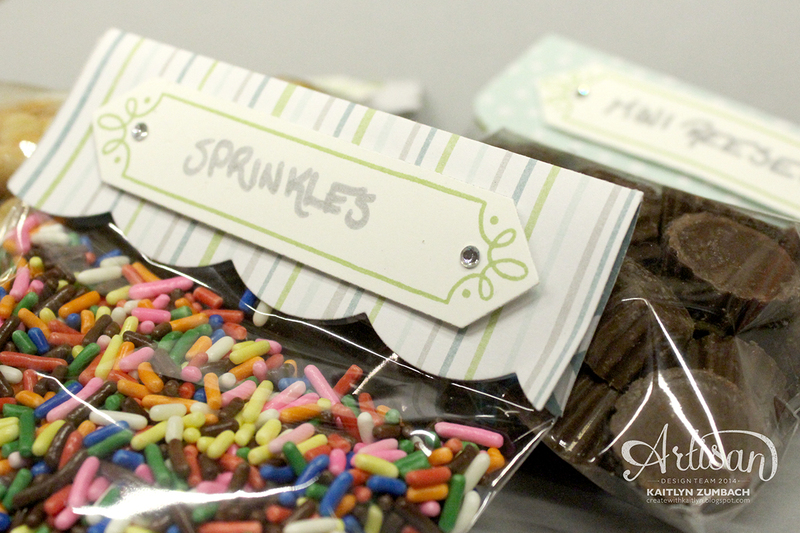 Then I filled up some cellophane bags with some favorite toppings and topped them off with another piece of All is Calm Specialty Designer Series Paper. The pretty frame stamp comes from the December Wonder stamp set and is a perfect spot to label the bags! A must have to any sundae is fudge and/or caramel. 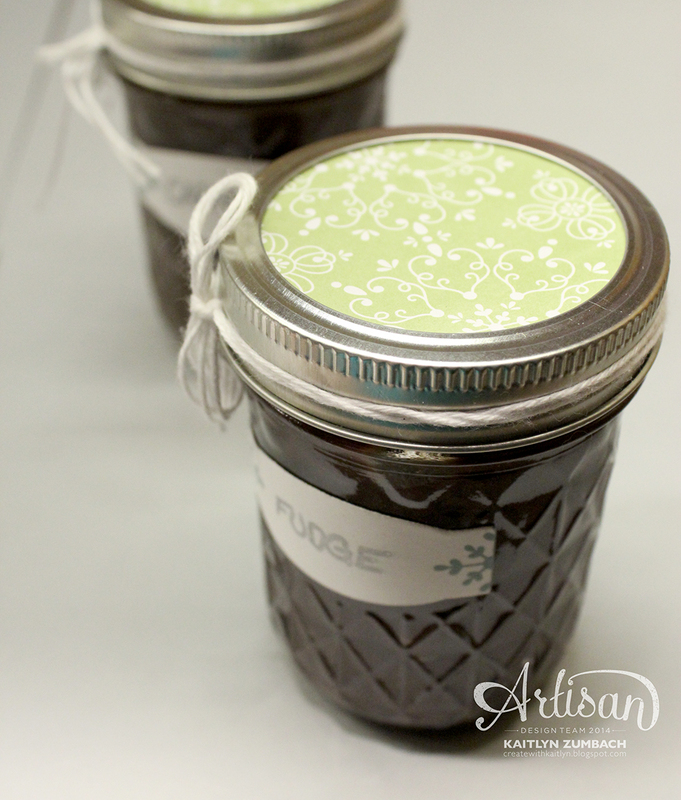 I just filled some pretty mason jars and decorated them to match everything else. It literally only takes seconds to do! 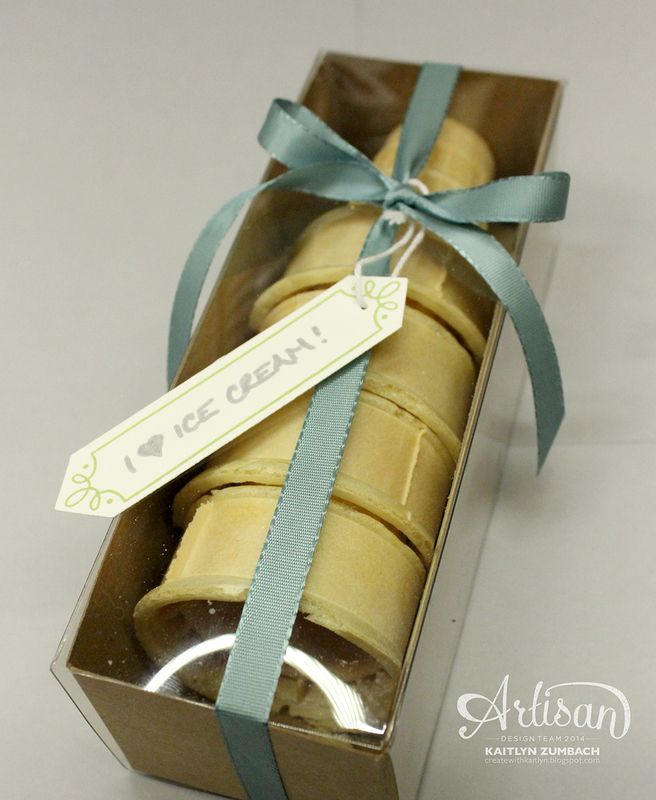 It just so happened that ice cream cones fit perfectly in a Tag a Bag Gift Box. Just a little bit of ribbon helps to connect everything together! This would be an awesome gift for anyone who loves ice cream like I do! Be sure to click the next button below to see everyone's projects! Have a great Christmas! Yummy ! :) Wonderful project and gift ! So cute and such a great idea!